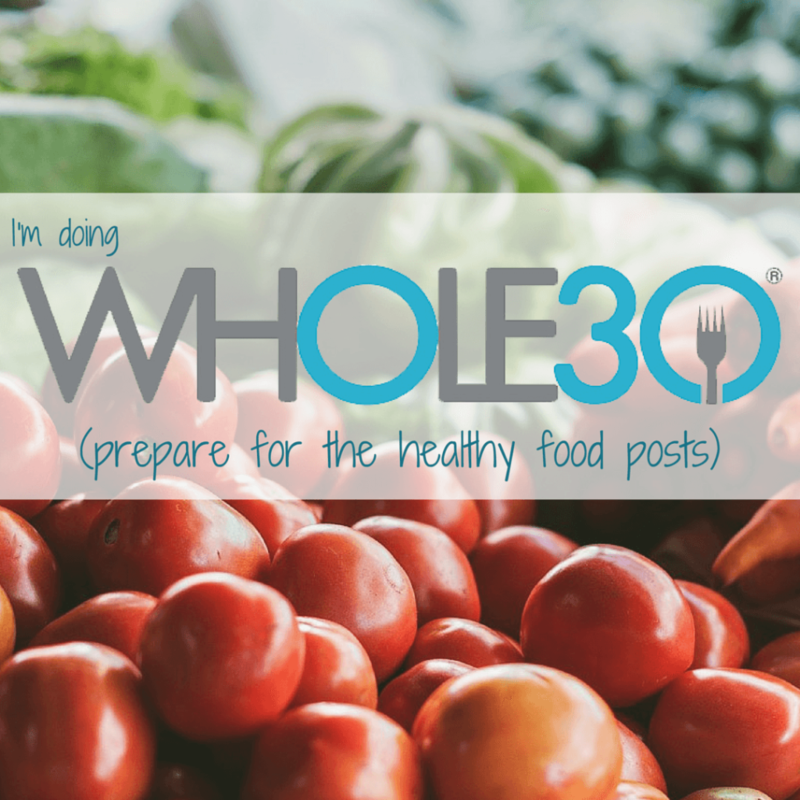 Whole 30 was developed by Dallas and Melissa Hartwig. Melissa has taken over and is The Queen behind the program. Whole 30 is a 30 day elimination diet. It’s clean eating at it’s cleanest. This allows your body to heal itself. Inflammation goes away. There is gut healing. Toxins are eliminated. Things start to change. Metabolism is restored. Hormones will balance. Sometimes it’s weight loss, but I promise, W30 is So.Much.More than weight loss. Read the success stories. Eat whole foods. Real food. Food that you buy from the market as food. No boxed or packaged. No ingredient lists, because it is The food. Vegetables first. Make that priority. Berries are good. Fruits are OK, but watch portion size with your fruits. Dried fruits are technically in the safe zone, but they are sweet. Don’t let them become a crutch and make a habit of having a handful of dried strawberries every night for dessert…. that is a dessert. Dried strawberries taste like candy. Meats, including seafood, are next. Quality matters, but sometimes you just gotta do what you gotta do. If you have to do frozen chicken breast from Tyson, do it. There are a lot of rules. And, I want you all in. But, don’t get lost in the details and the nit picky. Drink more water. Sparkling water. Bubbly water. Topo Chico. Bubly. La Croix. Perrier. San Pellegrino. Waterloo. There are even more brands. These brands can all be found locally, lots of flavors. These are sparkling mineral waters, which may be an acquired taste since they are not sweet. Keep tasting. You will learn to love these drinks! Check labels. Marketing has gotten so good and looks can be so deceiving! The added “natural flavor” in La Croix is OK. If there is any added sugar …. it’s out (see below about all the sneaky sugars). W30 approved drinks: Tea (like from a tea bag or fresh tea leaves. NOT west Texas Sweet Tea). Hot or cold is fine. Just no additives. Well, coconut milk or almond milk would be OK. Coffee has the same stipulations. Coffee itself is fine. Black coffee. Iced. Hot. Cold brew. I will be making a coffee post next week. You can add coconut or almond milk (sugar free; read labels). There are even some W30 coffee creamers you can find like these Nutpods (I’ve seen them at Market Street and HEB). Kombucha is A-OK (most are fine. Read the labels. Some have extra added sugar … avoid the Live Kombucha that are soda replacements …. breaking habits remember …. and I’m pretty sure MammaChia kombucha has added sugar). Kombucha is easy to find these days. Kombucha is fermented tea. It has a little vinegar taste and may be an acquired taste, but once you get used to it, it is delicious! Use spices, herbs, seasonings. Fresh or dried. Blends are fine (just check the label for any non W30 sneaky ingredient like sugar or MSG). Cook with healthy, natural fats. Coconut oil. Olive oil. Lard / bacon grease (Yeah, grandma isn’t crazy). Tallow. Duck Fat. All the sugar. Read this list to learn all the sneak names for sugar. No maple syrup, honey, agave nectar, coconut sugar, date syrup, stevia, Splenda, Equal, Nutrasweet, xylitol, etc. No alcohol. Not even for cooking. This includes (but is not limited to) wheat, rye, barley, oats, corn, rice, millet, bulgur, sorghum, sprouted grains, and all gluten-free pseudo-cereals like quinoa, amaranth, and buckwheat. This also includes all the ways we add wheat, corn, and rice into our foods in the form of bran, germ, starch, and so on. Again, read your labels…. This was swiped directly from the W30 site. No grains. No beans, peas, chickpeas, lentils, peanuts. No peanut butter. No hummus (well, no traditional hummus made from chickpeas). This also includes no soy … no soy milk, no edamame, no tofu or soy substitutes, no soy sauce, no soy lecithin. None. No cow dairy or goat or sheep dairy. No milk, cheese, creams or BUTTER of any kind. No ice cream or yogurt. No dairy. I know I know. Repeat to yourself …. It’s only for 30 days. I’m not recovering from a limb amputation or kidney transplant. I can do anything for 30 days. Repeat again. No treat replacements. Part of this challenge is to break old habits and cravings. Just because you found pancakes / pizza / ice cream / whatever with “W30 approved” ingredients Does.Not. make it W30 approved. One last detail …. You can weigh yourself on Sunday. Before starting W30. Then, no scale for the same 30 days. Don’t do it! It’s not about the weight loss. For some people, there can be weight loss. Not for everyone. It’s not about the weight. First … YOU ARE MORE THAN THE NUMBER ON YOUR SCALE. Second, there is a crazy huge list of Non-Scale Victories. These may even be more significant than the weight loss stories. Anyways, remember, No scale for 30 days. If you need more program details read The Whole 30 book and their site. Did you notice I bolded what you CAN have? Focus on that. Think of all the things you can eat. Don’t focus on what you can’t have. Also, COOK! If you are a little rusty in your cooking skills search YouTube. Seriously. Every question you have, there is a video out there waiting to be watched. I have a few other sites that I’ll post separately (as soon as I can) for cooking skills. Cook with the healthy fats. And use spices, seasonings and herbs. Use salt and pepper. That’s what makes a good cook. Plan. Plan. Plan. Plan your meals the night before. Go through your schedule for the day. Think of your most likely downfall and be prepared. Meal plan your dinners for the week, or at least a few days. Have a few W30 “snacks” … like nuts or meat sticks … for emergency hunger. Get creative. You will learn to make some unexpected combinations like sweet potatoes with bacon and almond butter. Or a breakfast bowl with eggs, avocado, chicken and almonds. Think of what use to be your favorite sandwich, pizza, or burrito and make it a “pile up” … that’s my term when everything becomes a bowl of the ingredients. Put it on a bed of lettuce and call it a salad. Get creative. Also, just own this. Ask your server 1,000 questions. Ask about their cooking oil; ask for the dressing on the side (or say none at all! ); ask for substitutions. Bring your own dressing, ketchup, BBQ sauce. I am That. Girl. No shame in whipping out my own creamer and ranch dressing when I’m on a brunch date. Seriously. No shame. Own It. Last two cents …. sometimes your best option at lunch is nothing. If you know there are not good options, don’t eat. I know your head is exploding right now. You might feel hungry, but you are not going to die. If you can’t make a good choice, skip it. Phew. That is a ton of information. Read the program rules. Start planning. There is an incredibly active forum on the W30 site. You can search there for questions. And, start posting on my FB page so we can learn and help each other out.